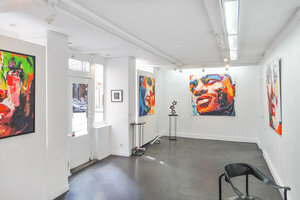 This lovely gallery space is favorably situated in the heart of Le Marais neighborhood, steps away from the Picasso National Museum. 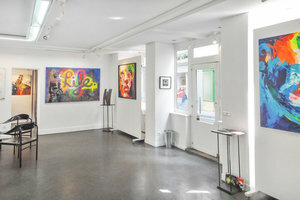 It is a wonderful opportunity for an Art Opening, Fashion Showroom or Pop-Up Store. The frontage of this space is eye catching and tasteful with two substantial window displays framed by beautiful dark red wood. The interiors are made to display with white gallery walls, open fluorescent and display track lighting and polished concrete floors. With facilities including window displays, internet and bathrooms, this space can accommodate a variety of creative pop-ups and art events. 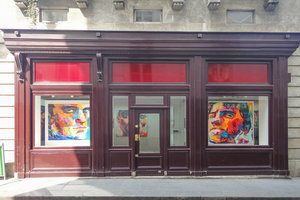 Located in one of the most fashionable neighborhoods of Paris this space benefits from steady foot traffic from a chic demographic. It is a wonderful opportunity for brands and artists to connect with customers in a magnificent retail environment.